BoltonSmith specializes in managed cloud IT services and strategic consulting, we help businesses of all sizes reach peak efficiency through data infrastructure, with a single point of contact and 100% transparency and accountability. 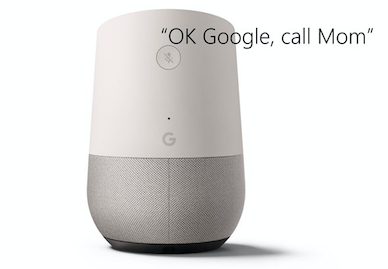 Win a Google Home - Limited Time Offer! *Fill out our form to receive a free BoltonSmith IT Services assessment, and you’ll automatically be entered to win a free Google Home device. There’s no commitment – you’re entered whether you choose to use our services or not. It’s our way of saying thanks for checking out what BoltonSmith Inc. has to offer. The first step to getting started with BoltonSmith is to contact us for a free consultation, where we’ll assess your data and communication needs and your goals. Next, we direct the implementation of your new IT environment. Whether you need new systems in place or just a trusted partner to manage existing systems, we work with you to meet your budget and your goals. The final step is optimization. We understand that a complex IT infrastructure works best when you don’t even know it’s there. That’s why the BoltonSmith method deploys 24/7 proactive monitoring to alert of us potential issues before they become a problem for your business. We specialize in maintaining a bird’s eye view of all your systems and its history. From this vantage we can build a strategy to constantly reduce incidents and reduce cost while maintaining uptime. We support your systems from end-to-end, with friendly and personal desktop support through managing your businesses cloud services. 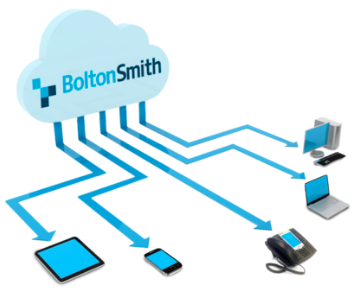 BoltonSmith enables your business to do what it does best and not worry about IT. BoltonSmith has a reputation for customer-oriented service. Our staff is ready to equip your organization with the power of modern communications technology. 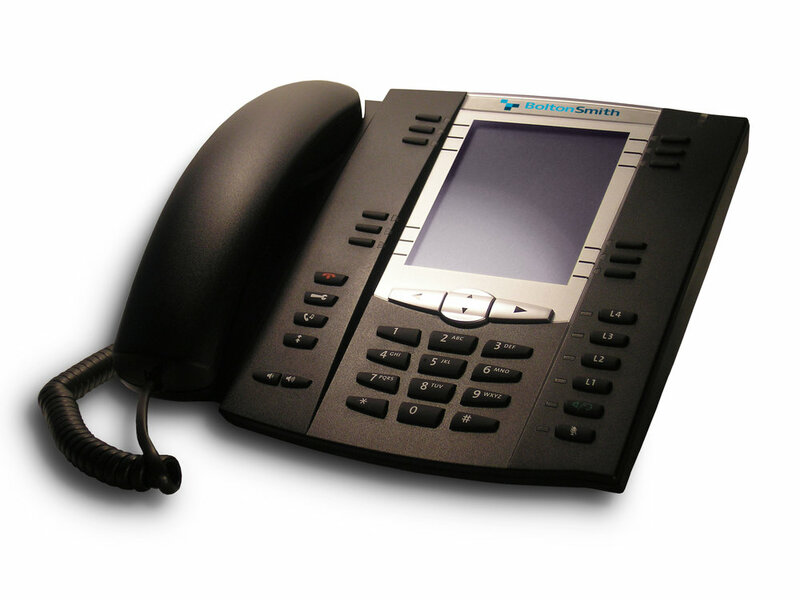 Let us bring our success and reliability to your business environment and unlock the full capabilities of your company’s computing and telephony systems. BoltonSmith's technical team can provide 24/7 support for your in-house IT staff, or we can be your all-inclusive IT solution, saving your organization the time, effort and cost of staffing for full-time IT. From day-to-day administrative and desktop support, hardware maintenance and installation, to emergency situations — BoltonSmith is your go-to solution. Cloud computing has already permeated every facet of modern business communications. But recent developments merging cloud infrastructure with leading-edge AI and monitoring tools are bringing increased performance, usability and stability at an ever-dwindling cost. BoltonSmith understands today's sophisticated technologies that push beyond cloud infrastructure, and can bring your business a true competitive advantage. BoltonSmith brings strategic partnerships with major cloud vendors along with deep experience with our own solutions. Using today's leading-edge tools while remaining platform agnostic is how we bring our clients the best price-to-performance ratio in the business. BoltonSmith can train your employees in the application of the latest technology, ensuring that your company can fully harness the benefits of our tools. Our training team can counsel your IT staff in implementing and optimizing your current environment and trains your employees on the latest equipment and software . Online attacks are increasing in frequency, jeopardizing your sensitive data. With a comprehensive threat assessment and penetration testing program, our technical team analyzes any and all vulnerabilities in your systems. Defensive measures are then deployed to shield your network from any potential attacks. Our security analysis team are standing by 24/7, ready for your call. Our team has designed, deployed, and maintained numerous DR Plans. By establishing and rigorously testing these procedures, our staff insulates your data from catastrophic failure and ensures continued operations for your company. Our engineers are available to design or review your DR Plan.